Pineapple upside down cupcakes are a delicious treat your family will love. These pineapple upside down cupcakes are so good and fun to make. One of the most requested recipes on my site. Pineapple upside down cupcakes is one of our most popular recipes. Spray muffin tins well with cooking spray. Melt butter and sugar together on top of the stove. Add 1 tablespoon sugar mixture to each muffin cup. Next, put in 1 tablespoon crushed, drained pineapple or 1 pineapple slice in bottom of each cup. In a large bowl mix cake mix, pudding mix, eggs, oil, juice and milk with mixer. Fill cups 1/2 to 3/4 full with cake mix. Bake in preheated 350 degree oven for 25 minutes. Remove and let cool at least 10 minutes. Run a knife around the edges to loosen muffins from cups before removing. Turn cupcakes upside down on a platter and add cherries. Note: I used one regular 12 cup muffin tin and one large 6 cup tin to make these. This way the recipe made 18 cupcakes.. If just using regular 12 cup tins, it should make about 24 cupcakes. You could use all crushed pineapple or all pineapple rings as well. I wanted to try them both ways to see how they turned out. I think the pineapple rings work better in the larger cup muffin tins.) These would be good topped with whipped cream and you could add nuts to the mix. Enjoy! 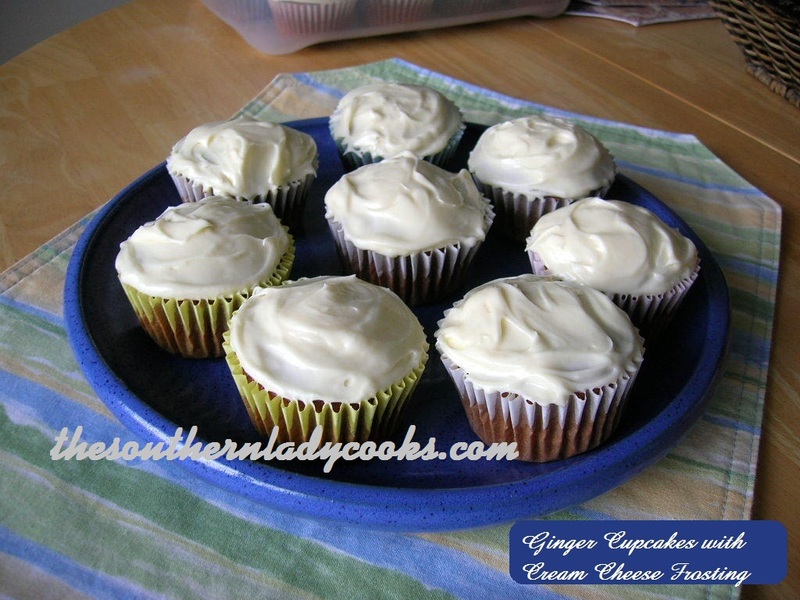 If you like this recipe, you might also like my recipe for Raisin Cupcakes with Caramel Frosting. Don’t forget to pin pineapple upside down cupcakes. Feel free to “share” with your friends by clicking on the Facebook, Twitter or Pinterest or buttons at the bottom of each post. You can print by clicking on the printer icon below.. I made an upside down pineapple cake that was horrible. I mean bad. That’s it. I made this recipe. Except i used a Bundt pan. Crushed pineapples. I followed the recipe. This was an outstanding cake. Just what i wanted. Thank you so much for sharing. I am so glad this recipe worked so well for you Vanessa. Thank you so much for letting me know. This is one of our favorites! Have a wonderful week. I will be trying your recipe out this weekend using crushed pineapples. However, I would like to add pecans to the top of the mix. Would you suggest adding the pecans to the sugar mix or in with crushed pineapples? I think either way would be fine Telaine. In the crushed pineapple sounds really good. Just out of curiosity could u make these using sugar free ingredients? I think you could Lori, but I have not tried it. I loved your recipe! Is there a way to make it into a full cake? Thank you! Just use the same amounts and put in 9 x 13 pan. How did you get these to release? I have trouble sometimes when i do the cake version. I just spray the muffin tins with cooking spray, Rick. These are delicious!!! I use crushed pineapple and pineapple rings when I make these and as a cake. We love lots of pineapple. So, I add the crushed pineapple before adding the rings. My sister and I have made the cakes like that for years. I love your recipes! Do you have a recipe book? Pudding mix? Is it made as instructions on the box or are we just putting the pudding powder in the cake mix? You just put the powder in the cake mix. No you just mix together what the recipe says. Do not mix according to the package. can’t wait to see their face at family meal. thanks so much. your site is just awesome and today I just made the coca cola cake and it turned out perfect and it is so delicious, thanks for the recipe. YUM! will be making these soon! I made these for a fundraiser for Relay for Life. They were a huge hit all were sold and they were YUMMY!!! These look yummy and can’t wait to try them. They will definitely be added to my recipe collection. OH MY GOODNESS THESE LOOK DEVINE,My husband love pineapple upside down cake …he will enjoy these babies as well as my son-in-law.. I found this recipe on pinterest and they were absolutely amazing. My family loved them and very moist! I am making them again for the fourth!! Awesome recipe! Okay, I’m confused! When do you use the topping? Is it put in the bottom of the muffin cup or is it added after they have been turned out of the muffin cup? It is put in the bottom of the muffin cup. Must they be eaten the same day or do they hold up well if you make the day prior? Thanks! Can’t wait to try! You can make them the day prior. They should keep several days but I would refrigerate them if I am keeping them very long. I am maki g these for dessert tonight and I am so excited! I wrote on march 31 and asked a few questions. How often does the Southern Lady reply? I haven’t received a response yet. Thought maybe with Easter she was behind on mail. Thanks! I usually reply the same day, Jeanne. Sometimes, the site goes down for repairs or something and e-mails are lost. I don’t have any pending ones here. I checked. What are your questions??? Did you ask a question on here or did you use the e-mail address on the blog??? Hi! I emailed at 4:28PM on March 31. I can see my comment on your website, so it must have gone through. If you don’t see it, let me know and I’ll send it again. It’s under comments. Thanks! What recipe is the post under, Jeanne. There are hundreds of comments daily on here. I don’t know what recipe you are asking about. I also have made these in mini-muffin tins, takes awhile but my coworkers really loved them, they could just grab a few and go on. And I do so enjoy seeing them enjoying. It says melt butter and sugar on top of the stove. This is what I am talking about that you add 1 tablespoon to each cup. Paula ain’t got nothing on you girl! I think each of these look pleasing to the eye! Thank you for sharing. Just saw these 4 the first time , my family loves pineapple upside down cake so i cant wait to make the cupcakes there gonna luv them . ill get back to u with the results , thanx so much . 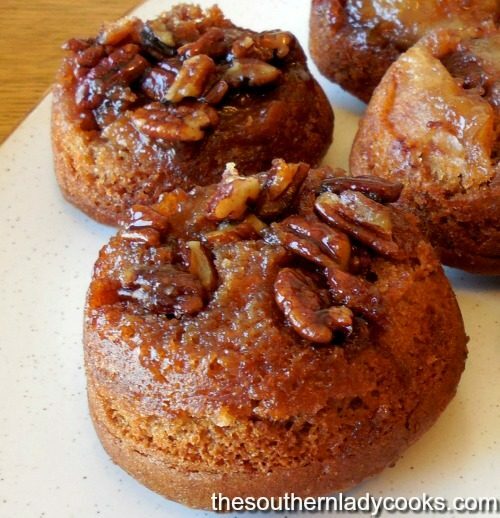 These mini pineapple upside down cakes are delicious and very moist. However, what did I do wrong? I put a tablespoon of the brown sugar mixture in each cup and a tablespoon of crushed pineapple in each one. I ran out of both ingredients about 2/3 of the way through and had to mix up more and open another can of pineapple. Your recipe says 1 Tbsp. and I used a measuring spoon for this. I made 24 cupcakes and used a 16 oz. can of crushed pineapple. I took these to an Easter Brunch and they were a great hit! I will definitely make them again (just make 1 1/2 times the butter and pineapple, unless you have a suggestion). How can I also adapt this to making a whole cake? I have always made this cake in an iron skillet (as my southern Mother taught me), but it called for a 1 layer cake mix, such as Jiffy. Your cake is so much better I want to use it. o.k. I found the questions. I used a large six cup pan that is the difference in the sugar mixture I am sure. I have made this in a 9 x 13 using the same measurements. You would make it just like you would make a regular cake because it uses a mix and pour into the pan. You might have to make more of the brown sugar topping for a long pan. I have never made this in an iron skillet. Been making it in an iron skillet for over thirty years and it works beautifully!! I can’t wait to make these for dessert they look amazing! Happy Easter, Maria and thank you for sharing. Great Recipes, keep em coming. These are really fun to make and really delicious!! My husband and I love them! I can imagine how hard they would be to do in bite-sized tins. I always do them in regular or larger tins. I have never tried freezing them. I feel like you could. Just a note to let you know that my youngest daughter (age 16) made these as the dessert for our New Years Dinner. We had a houseful of company and everyone *loved* them & the portion-size was just right. Made her feel good that she was able to make something that everyone liked. THANKS for the idea + recipe! Love your story, Joe. So happy your daughter was able to make these and they turned out good for her. I try to make my recipes as simple and easy to understand as possible. I love hearing things like this, too. I love these and so do my friends and neighbors. I prefer the small ones with crushed pineapple because they are the perfect size for the senior crowd that I am a member of. Absolutely amazing. They are like Pineapple upside down cake on steroids!!!!! Thank you!! Thank you for making my recipes Megan. Hope you enjoy these. I felt the need to write a review on this dessert, since I gotten rave reviews on it tonight. The cake had the perfect moisture levels you don’t need anything else to go with it. The brown sugar topping was the bomb.com! When baked it made a beautiful caramel coating. This recipe is a keeper! Thank you! Cena, Thank you for such a great review and am happy you enjoyed this recipe. Have a great week. Hi Judy! I don’t think my last comment went through. I wanted to tell you that I have made many of your recipes and I love them! My mom is from the south so this is the cooking I’m used to and love. 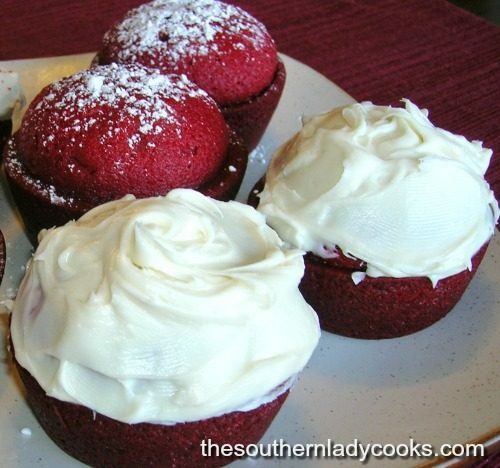 I’m making these cupcakes right now for 4th of July! Can’t wait to try them. I hope your cupcakes turned out good. Thank you so much for your great comment. I hope you had a great 4th. Hugs. Thanks ever so for this recipe! I was a bit late for pineapple upside down cake day… finally tried it last night. I had some crushed pineapple in the pantry already, but not enough muffin tins, so we had a sheet cake. I will definitely do this again. My guys deemed it the best they’d ever had! Also, next time, I think I’ll use coconut milk and call it a pina colada upside down cake. Hi Sophie, Glad your family enjoyed this recipe. Thanks for your comment. Have a great day. So, did you use 2 8oz cans of crushed pineapple and use both leftover juices for the batter? I used 2 (8 oz) cans. 1 sliced pineapple and 1 crushed. Just use 2/3cup of the juices. You can combine them to make 2/3 cup. Found these on pinterest and have made them 3 times. We love them! I even sent them to work with my husband at the fire dept. WOW Misty! So happy you are enjoying this recipe. We love them, too. Thanks and have a great day. I am going to try these for our Easter bake sale – they look so pretty!! Cannot wait to make these. My family is gonna flip. Pineapple upside cakes are my dad’s favorite. I love the individual servings. These look delicious! 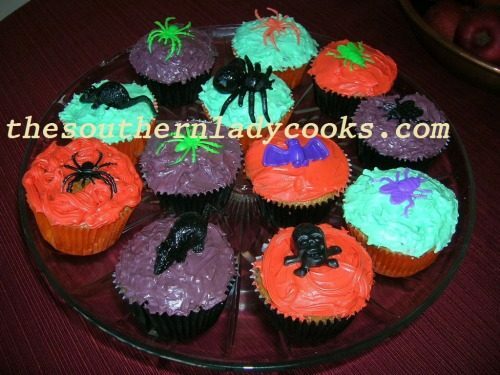 I will definately be baking some of these soon. What a great take on a classic. They look so moist.